It’s a question that not enough parents ask: How soon should my child visit a dentist? 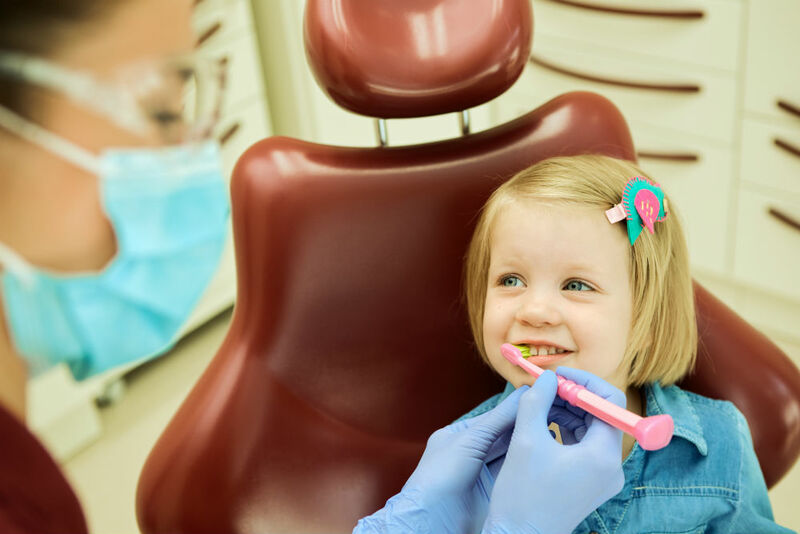 Considering that it’ll take years before they get their “proper” teeth in, it can seem like your child’s dental health isn’t a high priority during their early years. This attitude couldn’t be more wrong! Proper dental care is crucial at any age. Imagine Dental knows the answer to that question: Your child should visit a dentist as soon as possible. Putting off their first visit for too long could lead to consequences for their dental health later in life. Start your child’s life on the right foot by helping them keep their teeth and their smile in amazing condition. Most parents don’t take their children to see the family dentist until they are well over two years old. The American Academy of Pediatric Dentistry recommends that kids go to the dentist by age 1 or within six months after their first primary tooth emerges. Your child’s primary teeth, more commonly known as “baby teeth”, will typically begin growing in around 6 months after they’re born. Why See A Dentist At That Age? Just because your child hasn’t grown in their permanent teeth doesn’t mean that their current teeth and oral health don’t need to be taken care of. Even at a very early age children can build up plaque, bacteria and cavities. If you want to spare your child needless pain and discomfort, seeing a dentist early on and often will help a lot. It will also help prevent them from dealing with longterm health problems. Just because their primary teeth falls out doesn’t mean that any plaque or bacteria clinging to those teeth will vanish too: The bacteria and plaque will retreat into the gums as the teeth falls out, causing periodontal damage that could linger for years. How Often Should They Get Check-Ups? It’s recommended that children get check-ups every six months in order to prevent cavities and other dental problems from developing. This isn’t set in stone, though. It really depends on your child’s personal oral health and how diligently they take of your teeth. Teach them good habits at an early age and that will hopefully mean less visits to the dentist in their future! Don’t wait: Schedule your child’s visit today! Give Imagine Dental a call at 480-719-6420.